Biophotonics investigates the development and application of optical or photonics-based techniques to facilitate single molecule and/or cell studies. It is a multidisciplinary, directed research field that cuts across various scientific disciplines, including biological sciences, medicine, chemistry and physical sciences. 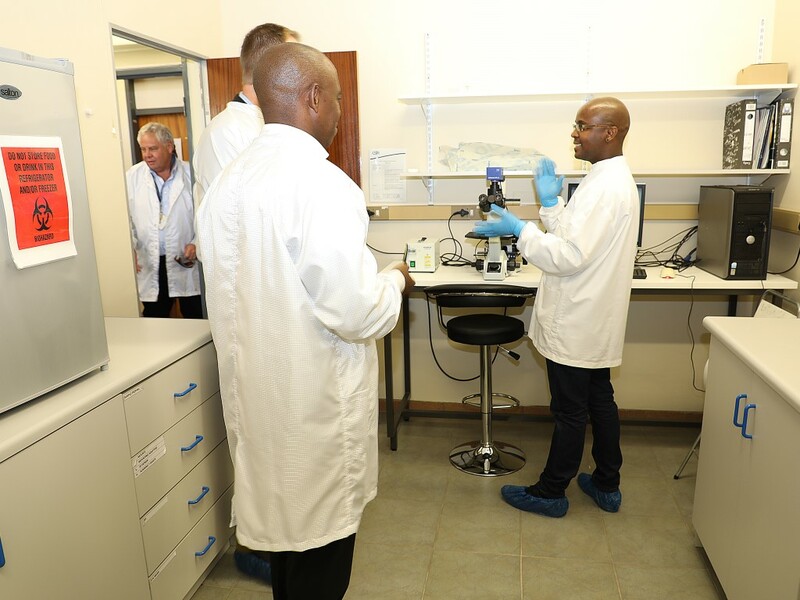 CSIR biophotonics research is undertaken in a laboratory equipped with specialised lasers of different regimes. Biophotonics researchers at the CSIR use lasers of different regimes to optically micro-manipulate embryonic stem cells for tissue engineering investigations; neuroblastoma cells for neurodegenerative studies; human immunodeficiency virus (HIV-1) infected cells for targeted antiretroviral drug delivery and to answer basic questions in HIV-1 pathogenesis; as well as cancerous cells to study intricate bioprocesses at single cell level. 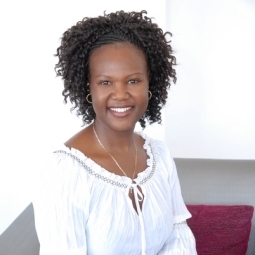 Currently, CSIR biophotonics researchers focus on developing point-of-care diagnostic devices. These devices are intended to enable early disease diagnosis and expand access to previously under-served populations in resource-limited settings. These medical devices or tools can diagnose diseases in a patient’s community, generally outside a formal clinic setting. Point-of-care diagnostics enable CSIR research to focus on the development of photonics-based technologies and methods for detecting biological states of health and disease, diagnosing those states, and monitoring changes in those states. Photonics-based technologies allow early detection of diseases and the use of light and optics affords many advantages because of the multi-dimensional data that can be collected and analysed. Below is a summary of the techniques and equipment used in point-of-care research. The ability to trap, sort and separate rare cells, or sort diseased from healthy cells, is of significant value in biology and medicine. Optical cell sorting allows the sorting of rare or precious cell samples in nanoliter volumes of analyte and this offers prospects for potential measurements and manipulation of biological materials such as cancer cells, HIV-infected cells and stem cells. Optical sorting of a population of cells is possible using a variety of laser beam configurations for both active and passive sorting in fluid, flow-free micro-sample chambers. For optical trapping and cell sorting, the experimental systems utilise a tuneable single continuous wave diode laser beam at 1 064 nm producing a maximum output power of 1.5 W. For cell sorting purposes, a specialised conical surface lens that transforms a laser beam into a ring-shaped distribution is inserted on the beam part. The sample is inserted on a motorised moving stage. The image of the trapped/sorted cells is viewed through a video camera illuminated with an illumination system. Raman spectroscopy is one of the main diagnostic techniques in analytical chemistry. It is developing into an important method in biology and medicine as a real-time clinical diagnostic tool for the identification of disease, and evaluation of living cells and tissue. It is an optical technique based on inelastic scattering of monochromatic laser photons during which the frequency of photons of laser light slightly changes upon an interaction with a sample. For this technique, the biophotonics team makes use of the Raman spectroscopy system which is combined with the cell trapping system. The Raman excitation light is MIL-S-1064, a laser diode at 1064 nm. This detection system comprises a fibre optic that guides Raman scattering into a spectrometer that is coupled with a charged-coupled device camera. For the surface plasmon resonance work, we use a homemade system which comprises a coherence cube laser diode light source at 640 nm with a maximum power output of 60 mW, a half-wave plate combined with polarised beam splitter to select p-polarisation light, an equilateral prism, glass coverslips coated with gold thin film, and sample cell and spectrometer coupled with charged-coupled device (or photodiode) as detection system. The ability to introduce genetic material into a cell – whether into a prokaryotic cell (transformation) or a eukaryotic cell (transfection) – has allowed the exploration of the molecular mechanisms within cells and the production of genetically engineered organisms. Gene, drug and/or vaccine delivery schemes with minimum cytotoxicity and an immunogenic response that can be applied under sterile tissue-culture protocols and can offer targeted treatment of a large number of individual cells, organelles and organs among other things, are highly desirable. Optical injection allows membrane impermeable substances such as drugs, fluorophore, macromolecule or nucleic acid to translocate inside a cell after laser has transiently permeabilized the cell membrane. This optical photo-poration experimental arrangement uses a regenerative amplifier femtosecond titanium sapphire laser which delivers light pulses at 800 nm wavelength, 1 KHz repetition rate with 113 fs pulse duration and average power of 1 W. The beam from the laser is directed through a half-wave plate and a polarising beam splitter in order to control the power at the sample plane. The automated beam shutter is often used to control the laser-cell interaction time. The photo-poration beam is coupled into a 60x microscope objective. A sample imaging system consisting of illumination system, a 50x long working distance objective and a CCD camera is used to visualise and record the cell photo-poration investigations. Low-laser light therapy uses a continuous wave diode laser operating at a wavelength of 640 nm, with a maximum output power of 100 mw. The original beam from the diode laser is magnified about 20 times, using a two-lens telescope in order to overfill the entire area of the sample. For cell culture, cell growth, sample preparation and sample analysis, different equipment is used, including biosafety cabinets, incubators, polymerase chain reaction machine and microscopes.